Hey, everybody! My name is Ashley, and I blog at TheHillHangout.com. The Hill Hangout is a family and lifestyle blog where we talk about food, faith, family, style, and travel. I am super excited to be with you all today, as Melissa at Served Up With Love is one of my favorite fellow food bloggers. I live in Alabama, and the weather has just turned cold enough for soup. 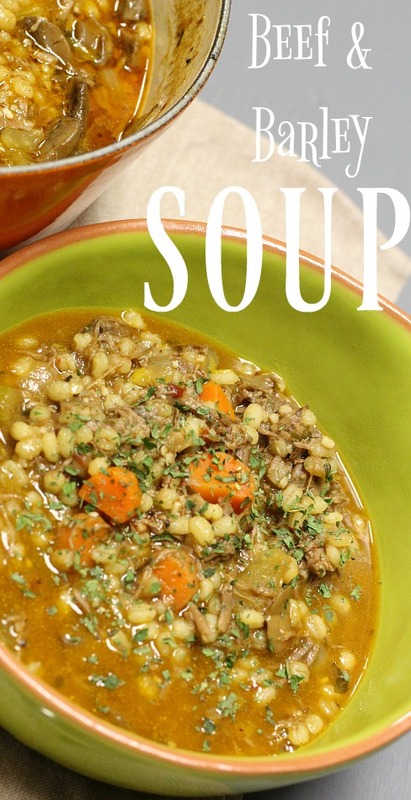 We are pretty excited about that because any kind of soup is a favorite around The Hill Hangout. 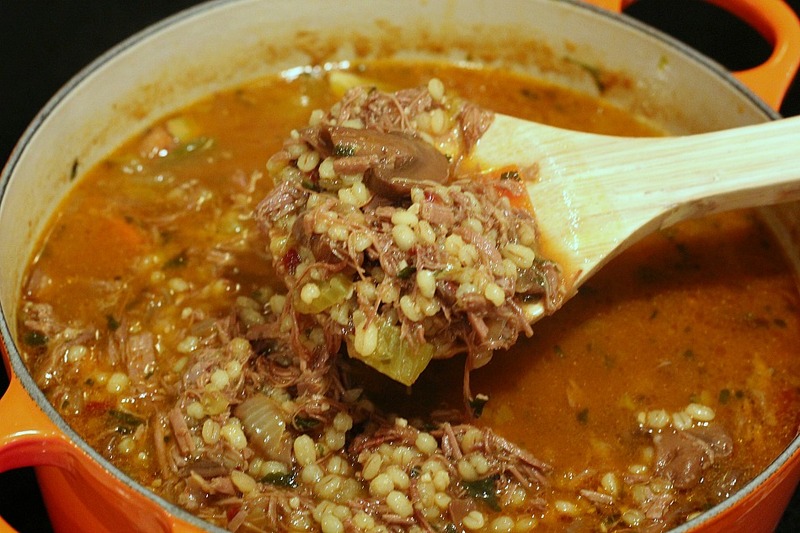 This afternoon I made a big pot of Beef and Barley Soup that I thought you might like. Beef and Barley Soup is what I refer to as a rainy day soup, because it takes a little time to make. It just so happens that today is a lazy, rainy day that we've spent watching football and working on projects around the house. In other words, it's the perfect day for Beef and Barley Soup! If you've spent any time around TheHillHangout.com, you know that I like to make things as simple as possible. For me, that means when I make a roast, brisket, flank steak, London broil, or any other kind of beef dish, I make enough to have leftovers. That gives me enough to make a nice pot of soup without too much extra cooking. However, no worries if you don't have extra beef in your fridge. 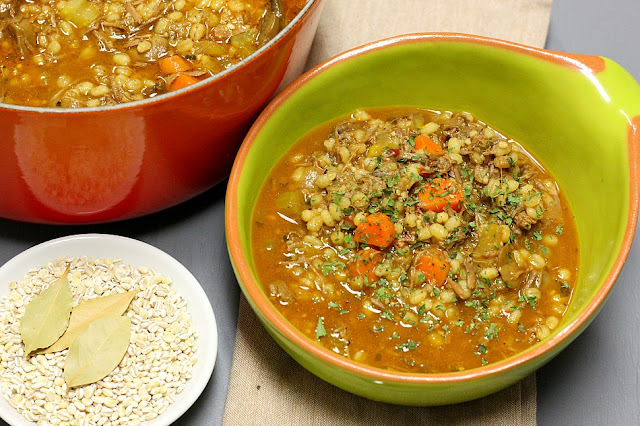 You can make Beef and Barley Soup totally from scratch as well. Sear the beef roast on both sides, about 5 minutes on each side. Remove to plate. 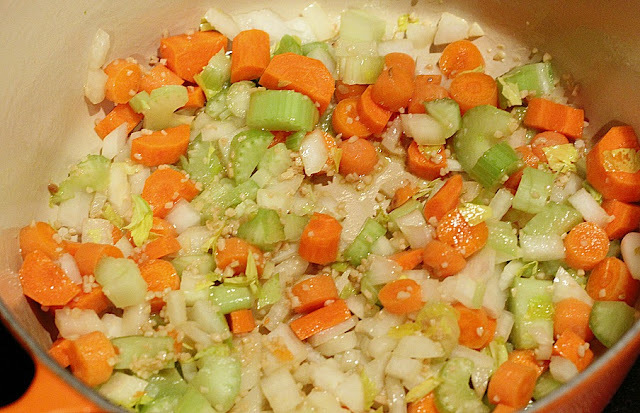 Saute carrots, garlic, celery, onion, and mushrooms in pot for about 5-7 minutes. Cut beef roast into 1" pieces and add to veggies. Pour in beef stock and add bay leaves and parsley. Bring to boil. Reduce heat to medium, and let cook for an hour uncovered. Stir occasionally so that it doesn't stick. Add water as necessary. Add in pearled barley, wine, salt and pepper, and stir well. Let cook for another hour, stirring frequently so that it doesn't stick. The barley will soak up some of the water, so add more as necessary. Thanks so much Ashley for sharing such a delicious soup recipe with us today. You have no idea how much my mouth is watering for a taste! Y'all make sure to stop on by The Hill Hangout and grab a bite to eat.